This 2018 Special ASG Edition minifigure is a very limited run made for the Mid Summer Classic held in Washington DC on July 17, 2018. This minfigure depicts Aaron in the American League Work Out uniform given to each player on July 16. 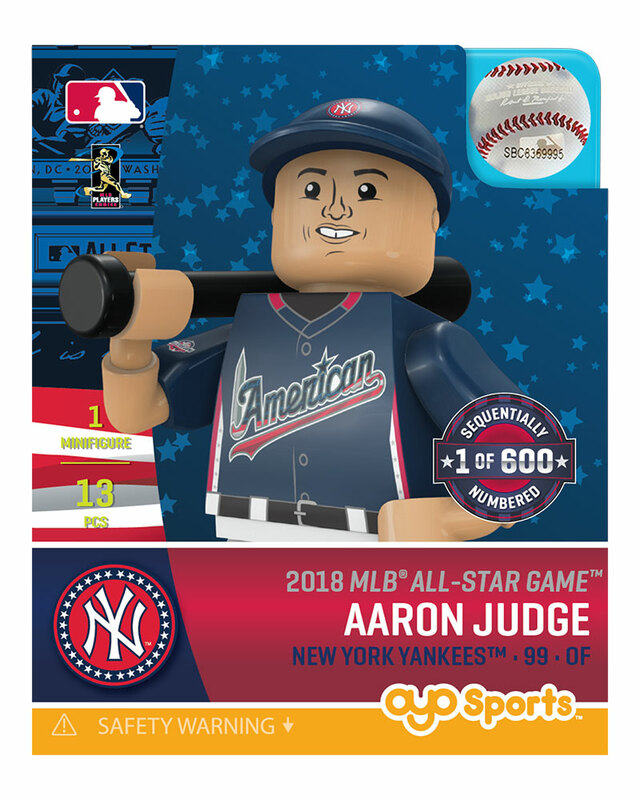 Each one is a limited sequentially numbered minifigure out of a 600 piece edition, and available while supply lasts in July. 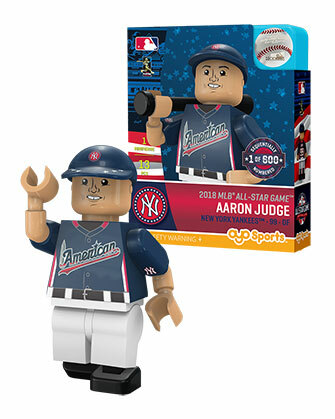 I love this minifigure! 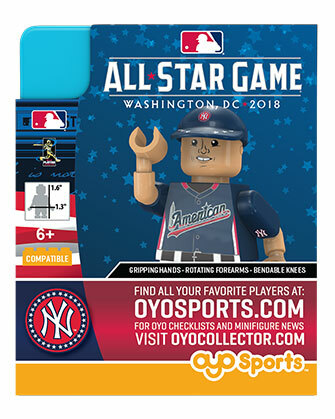 Aaron Judge is one of my favorite players and I am so happy oyo releases an all star game version of him. 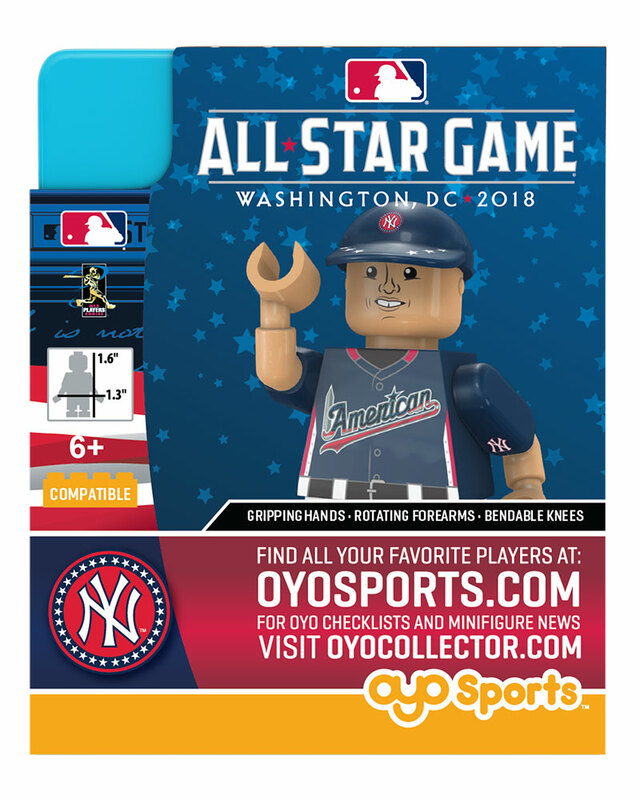 Thank you for releasing the all star game minifigures again oyo.